A break at The Spinney offers you the freedom, space and privacy to de-stress and re-charge your batteries. 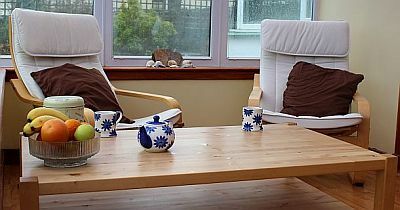 A break at The Spinney Holiday Cottage gives you the time to relax in our quality holiday cottage. Nestled in the heart of the village of Garlieston in Dumfries and Galloway on the coast you are far enough away from the rigours of daily life but only a short journey from the quaint local villages of the Isle of Whithorn, Wigtown, the larger historic town of Newton Stewart and beyond. Our self catering accommodation is ideal for guests who want to relax in their own space without the restrictions associated with hotels or B&Bs. After a busy day of activities make yourselves at home. 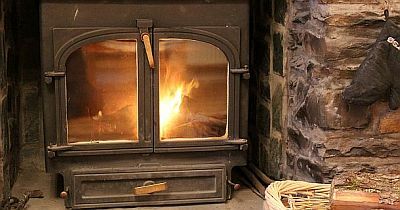 Relax in front of the wood burning stove, or flatscreen TV complete with free-Sat and DVD player, or sit back and enjoy the fresh air and flowers in the garden, or take a quiet stroll along Garlieston's picturesque waterfront. 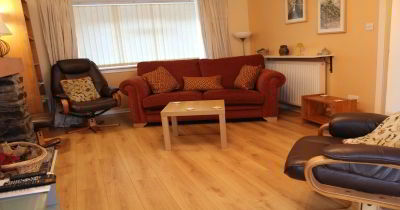 "Thank you so much for a lovely well equipped cottage, it really made our holiday a real pleasure..As I am in a wheelchair the ramp was a help & the room in the kitchen was big enough for me to get around..D S York"
"We've had a really good week here Garlieston is a great base for visiting lots of places, and The Spinney has everything needed. Thank you very much for the wine and biscuits - and providing wall to wall sunshine! Perfect! P & D"
"Finley (Cocker Spaniel) has asked me to thank you for a great Holiday. The walks, jumping in the surf and going to the pub have been great. We had a wonderful time as well." J, P & P & Finley"
"Sadly another wonderful week in The Spinney has come to an end...We were thrilled to see the pocket handkerchief trees in full glory in the Galloway House Gardens..Many thanks for the wine & cookies & for making everything so comfy & welcoming for us L & B"
"Warm, comfortable and well-equipped cottage for a break away from it all...Thanks for everything A & E"
"A fantastic surprising wee cottage, lovely wood fire and loads of space. Loved the conservatories.. enjoyed getting away from it all in a very welcoming wee seaside town. The locals couldn't have been more welcoming in the pub, and so nice to take the dog in too. R & L"